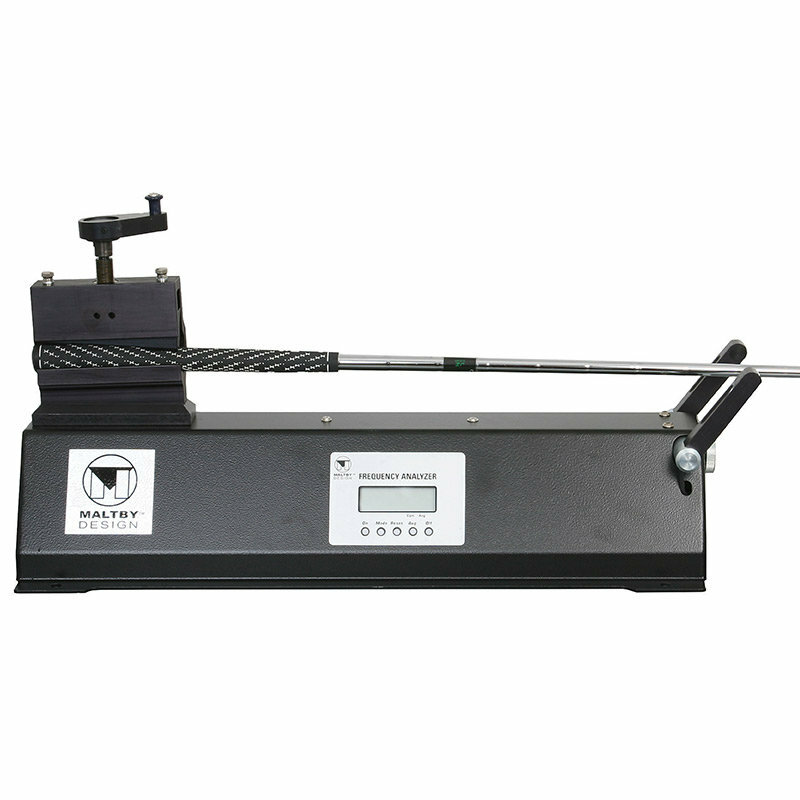 The Maltby Design Laser Frequency Machine is a valuable tool for clubmakers to consistently measure shaft frequency of both assembled clubs and raw shafts. Other frequency machines measure reflected light which often results in missed or inconsistent frequency readings. By using a laser as the primary light source, measurements are not affected by ambient or reflected light, shaft color or shaft material. Heavy duty laser assembly with a dial locking mechanism to insure the laser lights stay permanently aligned.